GEMINI (May 21 – June 20): Stay cool this week and keep an eye on what little cash you have right now. The stars know how broke you are, and they say it’s probably because you’ve been spending money on dumb stuff again, Gemini. Yeah, you probably didn’t need that snow cone machine. But enjoy it this summer, anyway. CANCER (June 21 – July 22): You’ve been in a good mood so far this week. The stars and your friends beg you not to let it die out now; you have the whole summer ahead of you! You’re a lot more fun when you’re not being crabby. Treat yourself — buy a donut or some new shoes. Anything to keep your positive energy up. LEO (July 23 – Aug. 22): As soon as you leave for vacation, everyone you know will text you to see if you want to grab coffee or if you can help them out with something (figures). Oh well. You’re long gone by now. The stars say ditch your phone and let your mane down. Everyone will still adore you when you return home … probably. VIRGO (Aug. 23 – Sept. 22): You deserve a break, Virgo. You need to accept the hard-earned success of your school year and kick back a bit for the summer. The stars say you’ll have to take it easy, at least for a little while, or your burnout will carry over into next semester. Yikes. Better start relaxing this week. LIBRA (Sept. 23 – Oct. 22): GET IT TOGETHER. I know you know you look like you have it together all the time, but the stars know all your secrets. Just because it’s suddenly summer doesn’t mean you can do whatever you want. You still have responsibilities to take care of as soon as you get back from that three-week vacation. The guilt of slacking off will probably get to you this week, and that’s close enough to taking care of the responsibilities, right? 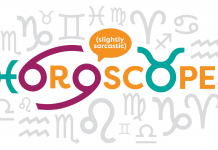 SCORPIO (Oct. 23 – Nov. 21): You spend a lot of time being suspicious of other people, Scorpio, and if you’re not careful, your distrust for others will turn into unnecessary paranoia. The stars say you’ll be much happier this summer if you start trying to look for the best in others. Don’t worry so much about what your shifty neighbor is up to this week (because he’s honestly just over there worrying about what you’re up to because he thinks you’re shifty, too). SAGITTARIUS (Nov. 22 – Dec. 21): Alright, Sagittarius, you’ve had your fun. Quit trying to put the moves on everything that has a heartbeat. Use the summer to learn about yourself instead of trying to find someone else who wants to learn about you. Don’t worry, the stars say your intense desire for a whimsical-yet-hot romance should, funnily enough, fizzle out sometime this week as the weather heats up. 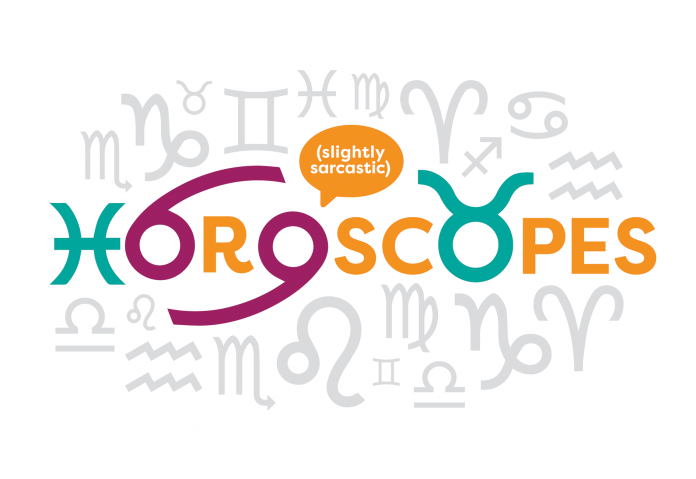 CAPRICORN (Dec. 22 – Jan. 19): Things are about to get flirty for you this week. As cringe-worthy as that sounds, you’re going to have to play along. The stars say you’ll be as charming as ever this summer and, hard as you may try to ward off romance (because, honestly, who has time for that? ), your slightly dark soul will inevitably attract a hoard of unwanted admirers. Good luck with that, Capricorn. AQUARIUS (Jan. 20 – Feb. 18): Try something new this week. Seriously, the stars say you haven’t tried anything new in a while, Aquarius, and it’s unlike you. Either get back in touch with your personality, or start using the summer to reinvent yourself because whatever you’re doing right now is freaking people out. But what else is new? PISCES (Feb. 19 – March 20): You need to sort out your priorities this week, Pisces. You could actually pull a muscle from how much you’ve managed to overextend yourself, you know that? The stars say now would be a great time to cancel every single plan you’ve made for the week ahead and use all that time to stay home and rethink your life instead. ARIES (March 21 – April 19): Keep your eyes open and your mouth shut this week, Aries. The stars say they would appreciate a few moments that don’t include the sound of your voice. Instead of talking to fill the air in an otherwise quiet space, use the quiet as a time to observe the little details around you. You could use a spoonful of perspective. TAURUS (April 20 – May 20): I know it’s like 90 degrees outside, Taurus, but chill. Your excess of enthusiasm may scare away potential summer friends, including the stars. Whether you’re interacting with new pals or that dreamy lifeguard you spotted at the pool, keep your shirt on. Don’t be so hasty to spill your guts to new people.